Omaha Weight Trainers, as well as, our clients have experienced the benefits certain types of foods. Most of us know it isn’t always about the type of food you’re eating; it’s also about why you’re eating. Overeating, eating because you’re bored or eating to fit in socially, are some of the major reasons of weight gain for men and women. If weight gain is not managed or reduced it can lead to obesity. Let’s not forget about the children. Kids will pick up on parents’ habits as well as what society recommends. As a parent or sibling, if you are filling your body with sugar loaded sodas and fast food meals your kids will want to follow your lead. When we eat essentially we are fueling our body which is needed to perform our best, however, not giving your body what it needs can lead to no satisfaction of appetite which results in eating more as your body is trying to get it’s fix. Make a habit of listening to what your body is asking for. Understand how your body processes certain foods. Personal Trainer in Omaha NE explains Healthy Snacking! Over the past few years snacking has received a bad rap, but when done with discipline, snacking can be very healthy. Some would like to eat a bag of Oreos in one sitting while watching TV, but this is NOT the snacking we are encouraging. Adding healthy snacks within your meal plan can help with weight loss or weight maintenance. Those who eat snacks, in addition to three meals a day, have a higher chance at sticking to their meal plans as they are able to keep their hunger at bay. A healthy balanced meal plan includes two snack times a day, like fruit or protein shakes, to ensure your body is provided the correct amount of nutrition. In addition eating several small meals a day will keep your body metabolism in check while helping maintain insulin levels. Four Reasons to Train at Omaha Fitness Facility "EPTS"
Losing weight is one of the hardest decisions you will make in life. You have to break habits, confront deeper issues like insecurity and try things that WILL take you outside of your comfort zone. Those who are overweight have a tendency to put on rose colored glasses and not be aware of how much weight has gained over the years. Life’s daily stresses, challenges and experiences cause the pounds to start adding up to the point we feel we can’t do anything to stop gaining weight. The good news is today you can make a difference no matter how large or small your fitness goal is. Endless Possibilities Training Systems has been helping all types of clients learn more about fitness, eating healthy and changing their lifestyle to accomplish dreams they never thought were possible. Several people come to us, at Endless Possibilities Training Systems, as they have no clue where to start at a gym. Believe it or not the determining factor of you achieving your weight loss goals is being educated. Our certfiied trainers educate all clients from those who are newbies to the gym, or gym warriors that workout 5 to 7 days a week. A/C and Vacation Exercises – No Excuses! We are almost halfway through July and if you are alive and kicking in Nebraska you have been experiencing one of the hottest summers in a very long time. Let’s face it, when the weather gets this hot we all want to lay on the couch with the A/C blowing full blast and take afternoon naps. Unfortunately, this is not possible if you have a weight loss goal you are trying to accomplish. I am the first to admit on my days off I indulge in some laying around but the rest of the days within the week I hit the weights heavy at Endless Possibilities Training Systems (Omaha Fitness Center). Below, I have provided a few exercises you can do within the A/C environment if it is too hot outside, and as a bonus, these exercises can also be performed while your on vacation. Yep, you read that right! Vacation does not give you the right to take off from your fitness routine. Those who have changed their lifestyle to live healthier and become more active will workout on vacations and still watch what they eat. Getting results in and out of the gym can be downright difficult. There will be challenges with any weight loss plan and you can guarantee that you will be tested to your limits with or without a weight trainer. Losing weight requires us to hold ourselves accountable inside and outside of the gym in order to meet the short and long terms goals we have set. Today we are going to share a success story of Bret Carter’s client, Jaime Kobs, who had less than six weeks to lose 40 lbs to fit into her wedding dress. Jaime is a mother, career woman and newlywed who took her body to the limit, mastered her inner workout diva and has become a success story for so many clients at Endless Possibilities Training Systems. How many times have you started a workout plan and a week later stop because you’re sore, it was hard or you were down right lazy. Let’s face it, working out is tough, after all it is called working out. To keep your motivation with any workout program you have to find what makes you tick inside. It’s more than just finding out the “why” behind wanting to lose weight, now we have to find out the “what” that makes you push harder, commit 100% and keep those temptations of not working out at bay. Everyday lazy people will find a way to make themselves feel better for not doing the work needed to live a healthy lifestyle. Lazy people will often call someone “obsessed” if they are 100% committed to working out and eating clean. It comes down to having the ability to tell yourself NO to crap food, saying yes to that extra set of push ups. People that do what is needed to be done regarding losing weight will start to see results of their hard work and want to work harder. They will apply discipline in everything in their lives as they realize with structure and dedication goals can be accomplished. You Talk the Talk but Do You Walk the Walk? Deciding to live a healthy lifestyle is more than just wearing workout clothes, owning a gym membership and saying, “I work out”. Several people will want to lose weight and straight out the gate become committed to whatever it takes to achieve a goal. Others will find excuses or put the blame on someone else of why they are not accomplishing results they want. As mentioned in Monday’s article knowing the “why?” of wanting to lose weight is needed for you to be 100% dedicated to a clean diet and challenging workouts. If you find that you don’t know where to start feel free to contact one of our certified trainers in Omaha. 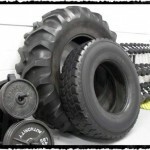 We offer a unique one on one weight training services that allows you to learn how to lift weights and lose weight correctly. For over five years we have made it our mission to help people of all ages meet their weight loss and fitness goals. Below we explain how walking the walk with weight loss is needed vs. just talking the talk.